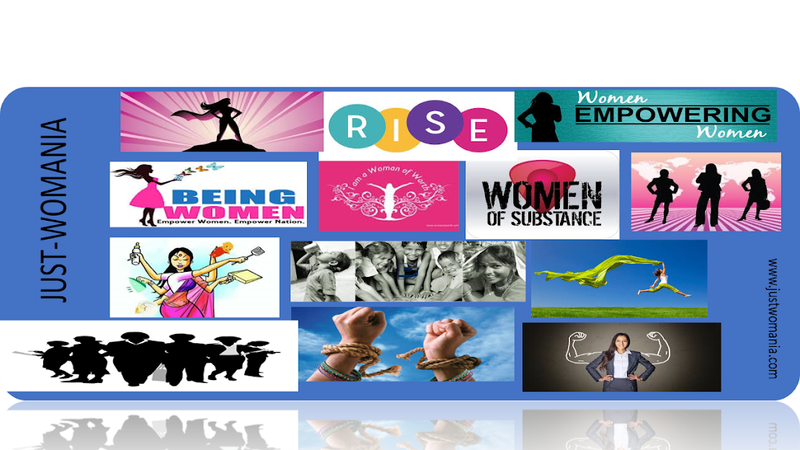 Just-Womania is a safe space to discover who you truly are.Just-Womania is of the women, for the women and by the women.The mission at Just-Womania is to empower one another and head towards the overall growth, development and inner fulfilment of self-being.We celebrate Womanhood and the power that can create magic.We unapologetically,dare to be ourselves here and aspire to be "ME"!! Thank You! Thanks a lot for being the wind beneath my wings. As they say behind every successful man there is a woman but what if, I have a different story to narrate, what if, I say the unusual, what if, I say, behind my growth, my achievements and my inner fulfilment, is You, my beloved Husband. I can very proudly declare that I am among the very few incredibly lucky ones, who is blessed with a partner that appears to have walked straight out of a fairy-tale. In this era, we women are still struggling to find our feet, and working towards the goal of building a society where WE are respected, heard & given the parity we deserve and truly a Man like you who keeps his lady in the high pedestal, always re-affirm our hopes and beliefs. Your unconditional support in my “continuous evolution” has made my life so beautiful. Like every other girl, I too had always dreamt of love ( actually I was very much in love with the idea of love), breath-taking appearance of a heroic character in my life, who will make my world go round, but when reality looms large, you are jolted with an awakening call. I won’t say that I stopped dreaming of my Mr.Right but yes, it was temporarily buried deep inside my heart. Time went by, my passion and my creative profession kept me busy. One day I was informed by my parents that now is the right time for me to get married and they have started looking for a groom. It appeared as if everything was happening so soon. I knew the final decision of marrying or not marrying someone will always be mine, but still I was paranoid about it. Adding more fuel to my fear, was the stories by my acquaintances, of how marriage is a compromise for girls, it’s an end to your freedom, and so on. I was scared, but whenever I looked at my father, and realised how wonderful husband he is, how loving father he is, my fear disappeared. The universe has a strange way of connecting people, and I completely believe in the power of universe. So it happened, that finally "We met". Our parents played Cupid here, you came all over from Pune to Mumbai to meet me. I vividly remember the day, owing to huge traffic, I was an hour late...ok...ok...one and a half hour to be precise. As you kept waiting on the food court of a mall, I was feeling helpless but you can do nothing with Mumbai traffic, suddenly my mobile beeped indicating a message has arrived and it was from you. A smile appeared on my face, the text read "Hi, are you following the same ancient tradition of keeping boys waiting...and btw there are 35 stalls, 88 girls, 108 boys, 78 senior citizens, 20 steps in each escalator and other details in some time...hope to c u soon". I was sure it was all made up numbers but you seemed "quite Interesting". As I approached you, ( all nervous and guilty of keeping you waiting so long) you got up from your seat and greeted me with a smile and I also sheepishly smiled back and said 'sorry' (see so courteous, isn't it?). The conversation began, and I felt so comfortable talking to you, we spoke about our ambitions, our hopes, expectations, our childhood, our parents and above all what we wanted from LIFE. Ah! such a heartening conversation it was. You know, the moment you started talking about your parents specially about mummy I could see a shift in your persona from being a chirpy, talkative guy to an intense and composed one. I felt the corners of your eyes was glistening with tears, while you speak about your parents. I was able to connect with you instantly, as I was similarly devoted to my parents as you were. Eureka! the one who carries the same emotion, same sensitivity and same beliefs as that of mine has to be the One whom I choose. No doubts, no confusions, voices in my head were calm and clear now. However cliché or filmy it may sound, but I did had this very strong intuition, or may be a signal from the Almighty, that I should let you enter my Queendom. I believe the feeling was mutual, and we said yes! to each other. Love can take you to places, I guess that is the only reason why a girl like me will leave her professional ground and move to a different city. Pune welcomed me with open arms, and so did you & my new family. After marriage, amidst all the chaos, guests, distant relatives, you always made me felt so comfortable and nothing seemed strange. You made everything so familiar and beautiful for me. The telepathy meter really worked overtime for us, you were omnipresent to assist me with any help, even before I had thought about it. This left me thinking how can you know it all. It can never be so simple, all that effort, your thoughtfulness and the deep concern you showed bewildered me. I was overwhelmed to realise that in such short span of time, we were so deeply attached to each other. Be it Love or arrange marriage, things are no different, if two compassionate individuals are involved, who are ready to work it out, no matter what. You know? much before you touched my life, you touched my soul! It’s been one and a half years of our marriage & what a glory it has brought to my life. What an enriching journey it has been, both professionally and personally. I discovered a theory that you just cannot separate professional with personal. An individual who is happy & contended in his/her personal life can always achieve better. With you being my side, my power bank, I was ever ready to experiment, explore, take new challenges, and grow in the process. I remember for my early morning radio show, how you were awake much before than me, how you read my write-ups with that intent look, every stage show which I anchored, you were there, seated in the first row, looking at me with a childlike excitement. I always felt so glad when after every show you had that proud-of-you look on your face. You doubled my energy in no time. It always amazes me, that how after such a hectic schedule, you still managed to be with me for my programs. Your feedback has always acted so instrumental in bringing out the best in me.Your suggestions to write on various topics always induced me to ponder deeper and intense. Your presence not only helped me gain momentum in my professional life but I also started attaining a sense of inner-fulfilment. The child inside me refuses to grow, and with you being around, it sprang up to be a lot more mischievous. Our state of happiness reaches another level, when we are on outings. Bungee jumping, swimming, rock-climbing, trekking, waterfall, and the list goes on, doing these activities together, gave an adrenaline rush that we will remember for lifetime. The best thing about memory is in making them and we have already created innumerable delightful memories together. Let me admit, these trips have made our bond really strong and acted as a catalyst in developing a trust that is incomparable. It’s funny and also so sweet of you that although you don’t like the idea of getting wet in rain, yet every time I step out to get soaked in rain water (me being the obsessive monsoon maniac) you are always there to accompany me, to hold my hands, to laugh with me, to cherish with me and simply, to be with me. Sometimes, love can make you do silly things, and you find divine pleasure in doing so, absolutely no complains. Being a modern girl of 21st century, I have my own passions, dreams and ambition to follow and when you find a partner who sees you in the light of your shadow and accepts you the way you are, you have certainly hit a jackpot. What women want? even the biggest of intellects and sage have failed to answer this mysterious question, though Bible have thrown some light on it “Women want freedom…freedom to be themselves”. Yes, we want to be loved, respected and cared for what we are, and thank you dear hubby for creating an environment where I bloomed because I was accepted unconditional, I had the freedom to be just the way I am, with no censor cuts, no adulteration and no processing. I believe freedom is the only thing, which is worth fighting for and in my scenario, ‘IT’ was served with love. Your magical phrases keep playing in my ears, your promise “I will always love you more than yesterday and less than tomorrow” soothes me. You set my spirit flow high, you are a stunner! Your zest for life and philosophy surrounding it always amuses me and I feel so enlightened. I remember once when you introduced me to one of your friend and he said “Oh, so she is your, better half!” and you replied “No, she is my best half”, that moment was so profound for me and I was completely speechless. You casted a spell on me and the magic was bound to happen. I get lot of compliments because of my profession but when I see appreciation in your eyes and the reflection of my achievements in your light, I feel satiated. Whenever I close my eyes to make a wish, you cross your fingers to make it true. Now I can confess that all my nuptial worries, inhibitions, fear have vanished into thin air, just love, love, love alone prevails. No! marriage did not prove to be a compromise for me, it is a pure bliss for me. Here, I feel jubilant about the fact that my life partner is also my best friend. My long buried dream did come alive. As the famous lyrics goes “ Tu hai hero mera” and a sheer replica of my father. I not only respect you because you are my husband but also for the kind of human being you are, so compassionate and loving. I don’t know if rebirth theory actually exists, but if it does, I would pray almighty to have your janam janam ka saath. And for this janam, I will keep painting the town red with you. A loud shout out to mummy and papa for nurturing you with such high morals, ethics and values. Men like you, make the women in their life, feel precious and equal. In a silent rendezvous with my God, I always thank him for letting me know a man like you! Blessed! I wish, someday I raise a man like you! You are my mirror and I look beautiful! Your comforting words Maa, led the flame burning! “Come on, you can do it”- this is what you roared. I chuckle to myself ‘Ah! What a transformation’! I breathe to be free, I breathe to be at peace, I breathe to live my passion. I’ve followed my dreams and have explored into my strengths…. A butterfly with spread out wings and multiple colours of life. Maa, now you can heave a sigh of relief, just sit back and see me flying…. Yayyie!!! It's summer time, and the only reason which makes this season adorable is the "Magic Fruit" or "The King Of Fruits" called Mango. The delicious taste of mangoes is craved by everyone. This magic fruit is called "Aam" in India, although called Aam, this fruit is really special when it comes to its heavenly taste and intoxicating aroma. There are more than 1000 different varieties of mangoes, available in different shapes and sizes across the globe. Eating seasonal fruits can provide you with numerous benefits and mango being a summer fruit is fully loaded with nutrients, bioactive compounds and fibre. Mangoes are one of the richest source in Vitamin A, C and E as well as minerals including potassium, magnesium, copper, calcium and phosphorus. They are also packed with polyphenolic flavonoid anti-oxidant compounds. The high vitamin C, pectin, and fibre content present in mangoes helps in lowering cholesterol levels, especially the "bad" LDL cholesterol as well as triglycerides in the blood. 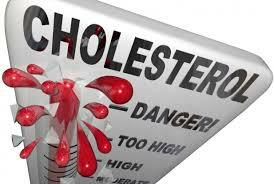 At the same time, they help in increasing the "good" HDL cholesterol. 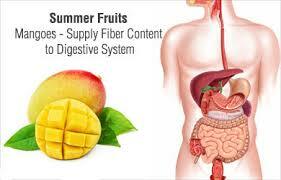 So those who wants to get rid of their cholesterol problem should adhere to eating mangoes to reap its benefit. Mangoes are rich source of potassium and thus helps in maintaining the sodium level, which in turn regulates the body's fluid level and protects you from heat stroke.During the summer days, you can eat raw mangoes daily to keep your body cool and rehydrate your body quickly. 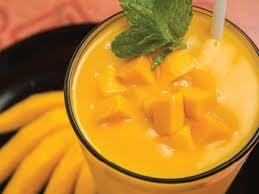 You can make a healthy drink with raw mangoes to prevent heat stroke. Boil two raw mangoes in two cups of water until they become soft. When cool, squeeze out the pulp of the boiled mangoes and add it to a glass of cool water. Add rock salt, sugar for taste and you can also add mint leaves to it . Drink it once or twice daily to protect yourself from the harsh effect of sunlight. Mangoes are also a super food for your eyes. 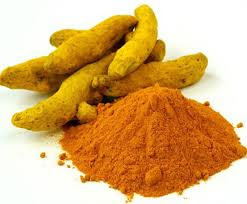 The high amount of vitamin A facilitates good eyesight and prevents various eye-related disorders like night blindness, cataracts, macular degeneration, dry eyes and other ocular discomfort. Also, the flavnoids like beta-carotene, alpha-carotene and beta-cryptoxanthin present in mangoes are vital for good vision. So just one cup of sliced ripe mangoes compensates for 25 percent of your daily requirement of vitamin A. This magic fruit has an alkalizing effect on the body. The tartaric acid, malic acid as well as the small amount of citric acid found in mangoes help maintain a healthy alkaline level in the body. 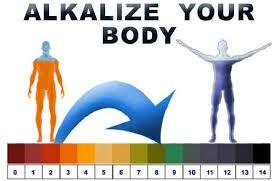 An alkaline body prevents several health problems like chronic metabolic acidosis, kidney disease, muscle impairment and weakened bones. Consumption of moderate amount of mangoes on a daily basis helps in maintaining the normal and slightly alkaline pH of the blood between a healthy 7.35 and 7.45. This helps transfer more oxygen throughout the body, increase energy levels, combat weight gain and prevents various digestive problems and osteoporosis. The high fibre content in mangoes helps in digestion and elimination of waste products, as well as normalizes bowel movements. 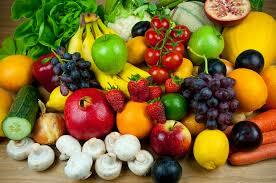 In addition, this fruit can provide relief from constipation and stomach ulcers. Mangoes also have enzymes that increase the breakdown of carbohydrates and protein, thus facilitating conversion of food into energy. Eating both ripe and raw mangoes on a regular basis will improve digestion and reduce risk of different types of gastrointestinal disorders. 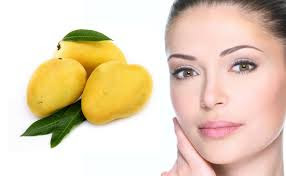 Mangoes can work wonders for your skin, that is the reason why mangoes are used in several face packs and scrubs. Being a great source of antioxidants, vitamin C in particular, mango can impart a healthy glow to your skin. The Vitamin A and beta-carotene present in mangoes can restore, rejuvenate and revive your skin rendering it free from dark spots, blemishes and acne. Mango is very easy to use, do not throw away the skin after peeling a ripe mango, instead rub the skin over your face, and allow it to dry for 10-15 minutes. Then rinse it off with lukewarm water. And here you are ,the proud owner of a glowing, soft and supple skin. The anti-carcinogenic properties of mangoes comes from its high fibre and Vitamin C content, along with the presence of several phenols and enzymes. Several studies have shown that the anti-carcinogenic and antioxidant compounds in mangoes can protect against colon, breast, lung, skin, leukemia and prostate cancers. Some of the antioxidant compounds present in mangoes that help fight cancer are quercetin, isoquercitrin, astragalin, fisetin, gallic acid and methyl gallat. 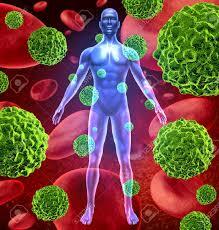 These compounds in mangoes effectively target and eliminate harmful cancer cells. 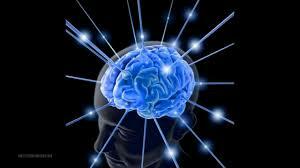 Mangoes are also known to promote brain health and improve concentration level. As per reports published in the journal Oxidative Medicine and Cellular Longevity, there are several components in mangoes that helps in increasing the cholinergic function and decrease oxidative stress. This, consequently, enhances memory.The glutamine acid provided by mangoes is also known to boost memory and promote mental alertness. 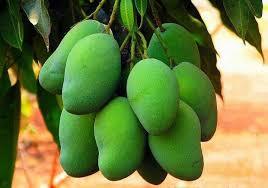 Apart from this, mangoes also contain Vitamin B6, which is vital for maintaining and improvin brain function. 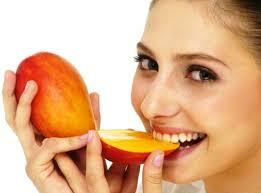 So, include mangoes in your diet for a sharp memory and for the concentration power similar to that of a swan. Eyes are our window to the world and it empowers us to be independent and get the sight of this beautiful earth. It is indeed one of the strongest and most vital sense organ of our body that equips us to bring a vision and stability in our life. But not to be forgotten, that we often tend to take things for granted and the case is no different here. We do become negligent and not bother enough to take care of our eyes. According to a report issued by WHO more than 285 million people are visually impaired worldwide and of these cases, about 80 per cent of them could have been avoided or cured. 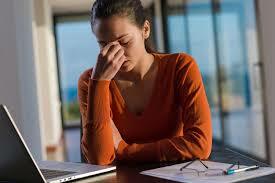 Being careful and a little conscious effort from your side can keep all your eye problems at bay. Lets look how a few simple habits of yours can help you protect your eyes and keep it healthy. Whether you are travelling, driving car, riding bike or enjoying on the beach, you should always wear your shades. Ultraviolet rays are sharp and they can burn your eyes. Red, itchy or gritty feeling eyes are the symptoms, although these kind of discomfort are short lived but continuous exposure to ultraviolet rays can cause cataracts and irreversible damage to the retina. So always make sure to wear your sun glasses whenever you are stepping out in the sun. Invest in good shades, its important. 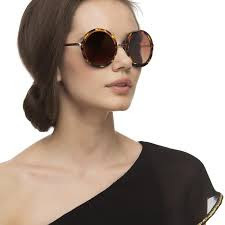 As per The American Optometric Association sunglasses that block both UVA and UVB radiation, screen out 75 to 90 per cent of visible light, are free of imperfections and distortion, are ideal & they also have grey lenses for proper colour recognition. Remember, since childhood days our grandmothers have always emphasised on eating carrots saying that they are good for eyes. 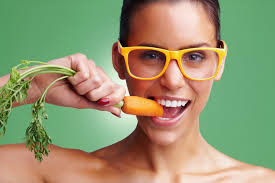 Yes, they are, because carrots are rich in carotenoids lutein and Zeaxanthin that can help fight cataracts and macular degeneration. Carotenoids can be found plentiful in leafy green vegetables like spinach, kale and also in broccoli, turnip.So involve these healthy foods in your diet to protect your eyes naturally. Several eye diseases and disorders can be easily taken care of if one comes to know about it in the early stage. Regular visits to your eye doctor ensure an early diagnosis, and you can also get an up-to-date prescription for eyeglasses or contact lenses. The American Optometric Association suggests that children should have their eyes examined at six months old, three years old, before the first grade, and then every two years until their eighteenth birthday. Adults between the ages of 18 and 40 should have their eyes checked every two to three years, 41- to 60-year-old require an exam every two years, and adults over 60 should have an annual eye exam. If you're at higher risk for eye diseases, because of diabetes, hypertension, a family history of ocular disease, or daily use of contact lenses, then a regular visit to doctor should not be ignored at any cost. Regular cleansing of your eyes will help you to keep your eyes clean, moist and cool. 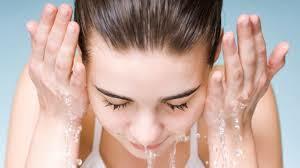 At regular intervals, you should rinse your eyes thoroughly with tap water and wipe it with soft towel. This allows the tired eyes to relax and get rid of the dirt and germ accumulated. Before going off to sleep, you should also pour 2-3 drops of rose water in your eyes to keep it hydrated and cool. Covering your eyes with cucumber slices or potato slices frequently can also be one of the options to keep your eyes cool and healthy. 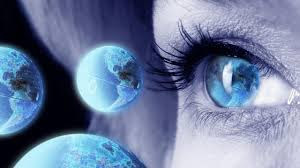 Also if your eyes are really tired because of excessive work, or due to continuous staring at the laptop screen then try and blink your eyes several times to let it calm down and this leads to secretion of natural fluid from the eyes which makes the eyes moist and wipe out the impurities with the fluid. Increase the in- take of foods rich in anti-oxidants, as this can reduce the risk of developing age related eye diseases and cataracts. 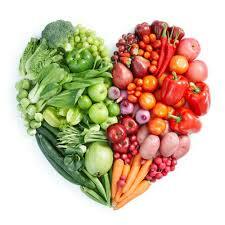 So consume foods with a combination of vitamin C and vitamin E as this can give a boost to your anti-oxidants. Fruits like papaya, strawberries, green peppers, berries, oranges, grapefruit etc are excellent source of vitamin c and vitamin E is found in foods like almonds, sunflower seeds, peanuts. Omega 3 supplements also work wonders for your eye. If your work demands you to spend non-stop several hours in front of your desktop or your laptop screen then you should take several preventive measures to protect your eyes otherwise you will be at risk of developing Computer Vision Syndrome (CVS).The symptoms include headache, blurred vision, eye strain and dry eyes. To avoid this, following measures should be taken: Set the center of your computer screen 4-5 inches below eye level and 20 to 28 inches away from your eyes. Reduce glare by using lower wattage light bulbs overhead and closing curtains. Lastly, blink more often and rest for 15 minutes after every 2 hours of computer use. Contact lenses, no doubt is the need of the hour and it does enhances your look. 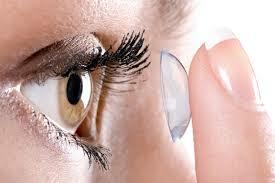 But one should be pretty careful while wearing lenses because it requires certain degree of maintenance. To avoid dryness, irritated eyes, blurred vision, pain and other discomfort, always wash your hands before handling your contact lenses. Clean and store your lenses only in fresh solutions, remove your contacts before sleeping, or going inside water. These simple and easy habits can help you a lot in protecting your eyes and avoiding several eye-related issues that you may be facing in your day to day life. It just take three weeks to make it a habit, so come over of all your laziness and work towards the health of your eyes because they deserve all your attention and care. 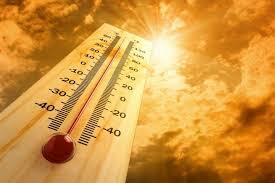 Summer is here and you are leaving no stone unturned in keeping yourself cool and hydrated. 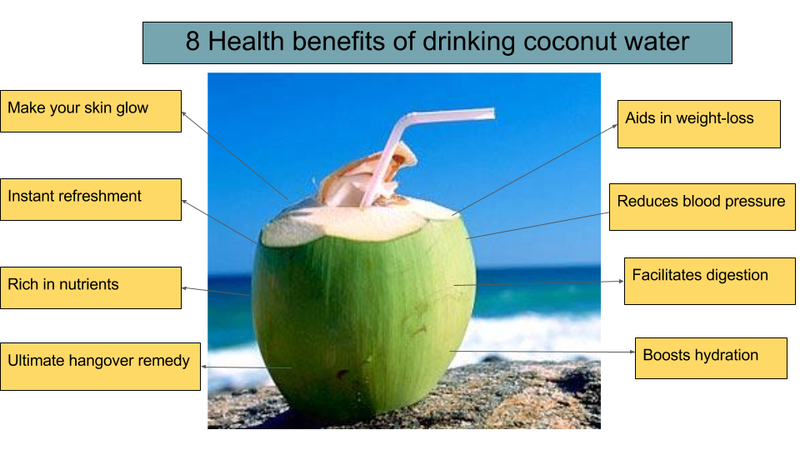 Coconut water can be rightfully called a magical drink that has several health benefits. Apart from a natural cooling agent, coconut water has such properties that can work wonders for your skin and health. So now you know, what benefits you can reap from drinking coconut water. Therefore, this summer, say good bye to all aerated drinks that are loaded with empty calories and heaps of sugar instead resort to cool coconut water to completely rejuvenate yourself. Cheers!! 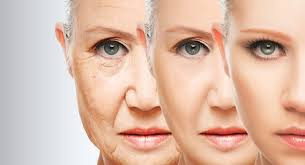 Ageing is certainly a natural process and you cannot avoid it , however you can surely delay it. If you think that injections and other super-expensive cosmetic treatment is the only way to regain your missing youth, than you are highly mistaken. To get back that youthful glow on you face, you just have to adhere to beauty secrets coming straight from your kitchen. Our hectic lifestyle, pollution, stress, lack of proper nutrition are some of the reason behind our ageing and unhealthy skin. A little conscious effort can take you a long way in bringing your beauty back to its glory. No one can ever think that petty things like this can rejuvenate your skin to its optimum. Make a paste using 2 tablespoons each of honey, warm water and milk powder, and mix them together, to make a smooth paste. Now apply a layer on your face, and leave it for about 15 minutes. Wash it thoroughly and see the difference! 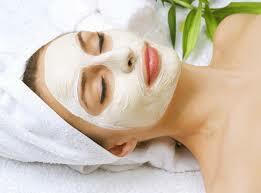 Milk powder enriches the skin making it softer and honey moisturises the skin, imparting a natural glow to your face. Also, there is lactic acid, which lightens the dark skin caused due to pollution or sunburns. 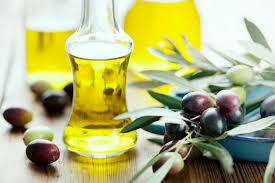 A regular massage with olive oil tones your skin as it is the best source of anti-oxidants, rich in vitamins A and E. You can also mix it with honey or glycerine, which will help in eliminating the dead cells, thereby renewing your skin. Olive oil is a great anti-ageing product, because of the presence of vitamin E.
Aloe-Vera is rich in malic acid, which improves the elasticity of your skin and reduces wrinkles. Aloe-Vera is very simple to use, cut an aloe-vera stem, and extract its gel, apply it evenly on your face and leave it for 15-20 minutes then wash it off with lukewarm water. 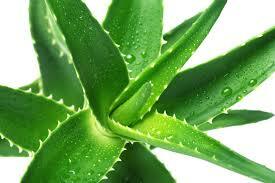 Regular use of aloe-vera gel can make a remarkable change to your skin. 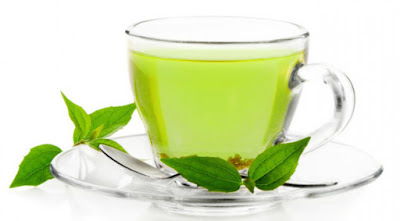 Green tea is rich in anti-oxidants and helps to detoxify your skin. One should drink green tea every day, to reap its benefits. It gives a wrinkle-free and fresh look to your face and skin. Green tea shrinks your skin pores, pulls out impurities, and gives you that desired radiance. Mix rice powder, rose water and milk together until it turns to a thick paste. Apply it evenly on your face, and leave it for 20 minutes. Wash it off with cold water, and massage your face with a mild moisturiser. Rice helps in production of collagen, which maintains skin elasticity, milk helps in lightning the darker area of your skin, acting as a natural bleaching agent and rose water enhances your overall appearance. 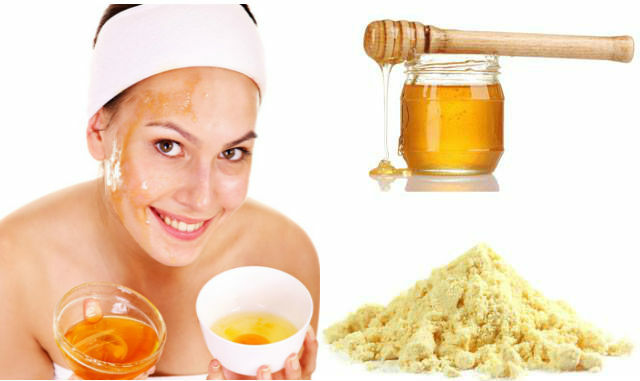 Extract the oil out of three vitamin E capsules, add 2 teaspoon honey, and lemon juice. Mix them well together. Apply the mixture on your face, and leave it for 20 minutes. Wash it off with lukewarm water. 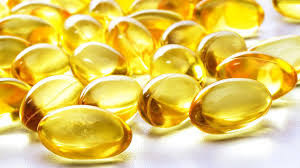 Vitamin E neutralises free radicals that damage and age the skin. 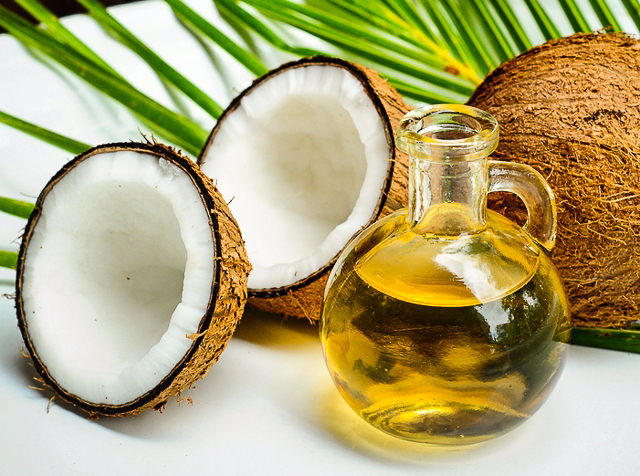 Coconut oil is the most effective natural moisturiser, which should be used daily for hydrated skin and to look younger eventually. Just a massage in the morning or at night before going to bed, with lukewarm oil is enough to recollect the nourishment of skin after a tiring day. It has a strong anti-microbic properties that protects the skin from infections, which sneak their way in through cuts or pores. It is one of the most patent and traditional remedy ,which have been used since generations for reducing wrinkles and fine ageing lines. Make a paste of sugarcane juice and turmeric, and mix it well avoiding any lumps in paste. Apply it on your face and leave it for 20 minutes. Wash it off with lukewarm water. The alpha-hydroxy acids present in it help in preventing acne, ageing and blemishes. Leaving your skin feeling smooth and flawless. The above 8 remedies if religiously followed then it can bring about a remarkable change and will undoubtedly transform your skin. It is always advisable to go for simple and safe methods rather than harmful chemical loaded treatments that will cost you a bomb. Although the above remedies will initially work slowly, but it will have a long lasting impact unlike other cosmetic treatments. As the phrase goes- "Slow but steady wins the race". So what are you waiting for be ready to re-discover yourself. Parenting has never been easy, be it in any generation, but presently its getting tougher as parents nowadays are more busy and lack the patience required to handle their children. A child's mind is extremely delicate and sensitive & parents should should be really careful in dealing with matters concerning their children, because its entirely a parents responsibility to raise their child in a manner that help them grow as an individual and pave right & bright path for the child's future. 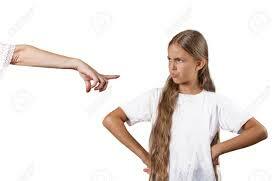 Below is listed few things which you should never say to you child, because it hurts! 1. Look at your friend, he is good in everything, why can't you be like him: Well, these words are extremely painful and piercing. At a tender age, a child sees the world through his or her parent's eyes and when he finds that in his parents eyes he is not good enough and they are not happy with his achievements, he begins to lose confidence in himself and feels demotivated. Every child has its own individuality and they are talented in their own way. A parents responsibility is to recognise that talent and help them to develop it further. Always speak kind and motivating words to your child and never compare them to anybody, not even to their own siblings. Love and affection shown towards the child, gives boosts their confidence and creates an environment that helps a child to bloom. Comparisons destroy them! Mothers in order to discipline their child often say these words to them, unknowingly creating a fearful environment for the child. Maybe at that time, a child may listen to you but if same thing is being repeated again and again than the child becomes reluctant to her mother's words and stops obeying her as he fears only his father. It can also happen that his fear can become deep rooted, and he remains in a dreadful condition all the time in his father's presence. Both the situation, can hamper a child's easiness and an uncomfortable child lacks its natural innocence and spontaneity. So, parents should never let the child live in a scary surrounding because that can make a child stubborn and coward. 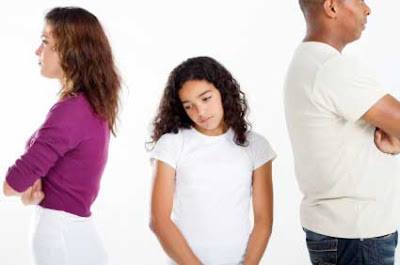 In today's scenario where both parents are working, it may happen that a child feels ignored. Money and profession is important but not at the cost of your child. Your children should be your first priority, and everything else comes after that. A parent should have the realisation that a child just need your love and attention, and this can go a long way in nurturing a child and developing a sense of security in him. 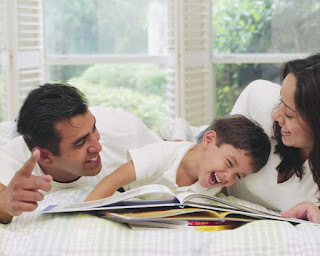 At times, children want to involve their parents in their made up stories or troubles and seek answers to their curiosity and if they are ignored and not entertained by their parents seeking their busy schedule, then this can have an adverse psychological impact on the child and it may happen that continuous ignorance can affect the child so badly that he can never come out of it. It may also happen that a child may start disliking you as parents and it will be a big jolt for you, right? but at this point you won't be able to make any amends for that because things are completely out of your hand now. So if you do not want to lament later then be 24x7 available for you child. This makes the bond strong. Trust me! 4. 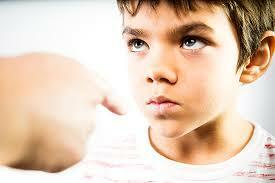 Don't cry or I will punish you: A crying child wants your warmth, your affection and not your harsh words. Some parents always has this tendency of shouting at their child when they cry. A child cries because he needs help, he wants to point out something to you, or may be he just needs your comfort, your attention. Whenever your child cries, you should cuddle him and console him instead of getting irritated because this evokes a feeling of security among the children and they believe in you, yes! let the child feel that you are there for him and nothing can go wrong when you are around. Be the Knight in shining armour for your child and see him glowing with glory. A trust should developed between you and the child, which will make your bonding and your relationship strong. 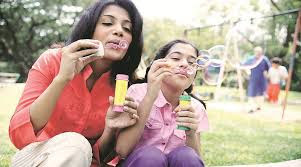 This now-built trust between you and your child at this age, helps the child to connect with you and confide in you forever. Love, Love, Love alone is what a child needs from you. Ouchhhh!!! that hurts like death. It is often seen that when a child is unable to meet his parent's expectations in terms of academic result or any other competition, then he has to bear the agony of his parents who commands that since they are spending so much on him, he should fulfil their expectations. 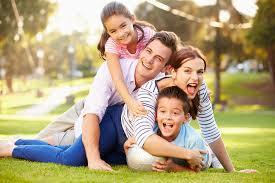 Parent wants to gain an upper hand among their friends, peers and families riding on their child's performance. Its not wrong to expect nice performance from your children but scrutinizing them to the level of audacity when they are unable to do so is unacceptable. Strong words like these crushes his self-confidence and he feels dejected. 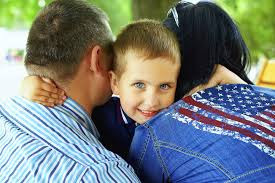 The child can even take drastic measures to escape from the situation or he may become indifferent to you , thus loosening the bond between you and your child. Be sensitive and compassionate to your child, he needs your motivation to grow. Every child is special and possess some talent, parents should act as a mentor to their child, and help in motivating the child to develop that talent, grow and excel. In your life what society says should not matter, but in what light your child sees you does matter. A child's mind is very vulnerable, soothe him with a pat on the back when he does good, appreciate him with kind words, he will be glad to hear that and encourage him when he looks at you. Be his strength, his support system. Parents can be a child's friend, philosopher and guide and also a torch-bearer of their life. Parents should develop an understanding of their children need, their expectations from their parents and try fulfil those. Being careful in dealing with your child will not only foster great relationship among you but will also produce optimistic results. Remember you are your child's first hope and you can make a huge difference in his life. Its "you" who can carve a bright and happy future of you child. Happy Parenting!